Nothing soothes like BBQ! Check out this revamped look for Operation BBQ Relief. We are proud to work on such an epic fleet of vehicles. 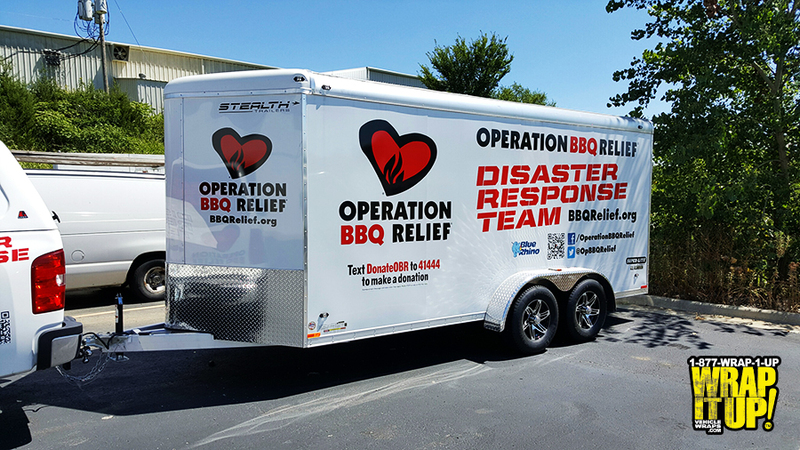 Operation BBQ Relief was founded in May, 2011 in response to a need for relief efforts in tornado-stricken Joplin, Missouri, a community of about 50,000 residents. Volunteers of competition BBQ teams from eight states answered the need to help feed displaced families, Police, Fire, National Guard and emergency personnel. If you have the chance make sure you give back to your community. Thanks Operation BBQ!